On the other hand, I’m happy that I was able to meet, surpass even, my savings goal last year. Actually, I’m amazed at how much discipline I have when it comes to improving my finances to achieve financial freedom. How come I cannot channel the same drive towards losing weight!? Oh well, I guess food is really my weakness. A weakness that I have to overcome sooner or later lest I suffer its bad consequences. This 2017, my personal theme is Gratitude. All I wanna do is to be grateful. Life has been treating me well lately that sometimes, I can’t help but feel undeserving of all the blessings I continue to receive from God. Do you also feel the same sometimes? That’s why I try to be appreciative of everything: my marriage, my family, my work, my friends (both online and offline), my blog (siyempre dapat kasama ang blog! ), my possessions, the world I live in, the people I meet, the places and things I get to experience, etc. Gratitude is something that comes from within. You have to feel it before you can express it. I tend to forget being grateful because I get consumed by the fast-paced life I live. I tend to forget being grateful because I get busy with the many things I have to do and take care of. So many things to do, so little time, as they say. But still, that’s not an excuse not to be grateful. Every day I get to wake up is a miracle and it’s something I should be grateful for. I have roof under my head, decent clothes to wear, and food to eat. My marriage is a-okay and I have to give credit to the hubby for that. My parents are aging well and they are without any serious health condition (i.e. no maintenance medication to worry about, so far). I have a smooth-sailing relationship with my in-laws. I have the best siblings, medyo pasaway nga lang pagdating sa pera yung dalawa. (I’m trying to wait patiently for that time when they finally wisen up on their finances.) I have a job that I love and compensates me just right. I work with nice people. I have friends who love and accept me for who I am. I have a blog where I get to meet some of the smartest and coolest people in the world (hello to my five loyal readers, hahaha). I have dreams and goals that give me energy and motivation to make good decisions everyday. I have a bright future and if I’d continue having a positive attitude, things will fall into their proper places in due time. And the best part is, more blessings are coming my way (God always provides!). I just have to keep all these realizations in mind and be always grateful for them. This 2017, I will do my best to be grateful more frequently. Gratitude leads to more good things. When I’m grateful, I feel more appreciative of people and things. When I’m grateful, I feel like returning the kindness shown to me to the world. When I’m grateful, I get to see things clearly and without bias. When I’m grateful, I feel good inside and it shows in my aura. When I’m grateful, envy, greed, and hate cannot get into my system. When I’m grateful, I get to accomplish more things. When I’m grateful, I feel more alive. When I’m grateful, I’m happier and more inspired. When I’m grateful, I appreciate what I have and I feel content. Gratitude, coupled with lots of prayer, is something I think I have to focus on this year. And perhaps, all throughout my life. Isn’t being grateful one of the best feelings ever? I believe so. That’s why I made it my personal theme this year. Like you I also gain weight. Di ko na nga alam kung paano babawasan kasi di nman ako ma’excersie na tao. Siguro ang personal theme ko this year is Optimistic para full of positive lang ang life kahit na parang kakastart pa lang ng month may mga mabigat na pagsubok na akong nararanasan. 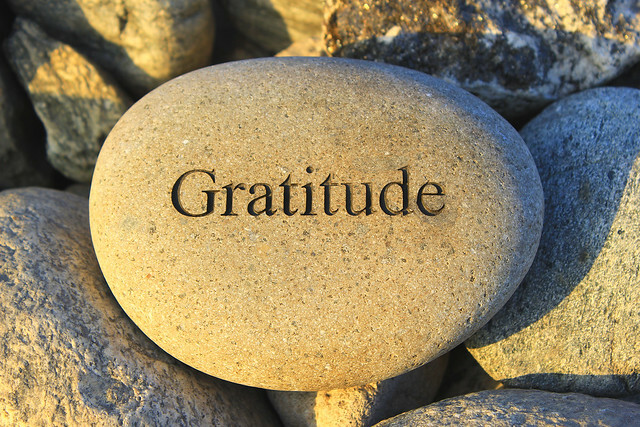 Gratitude is a great word for the year Edelweiza!! Mine is Focus for this year. Ay, I still don’t have a personal theme for 2017. Pagmunimunihan nga. hehe.